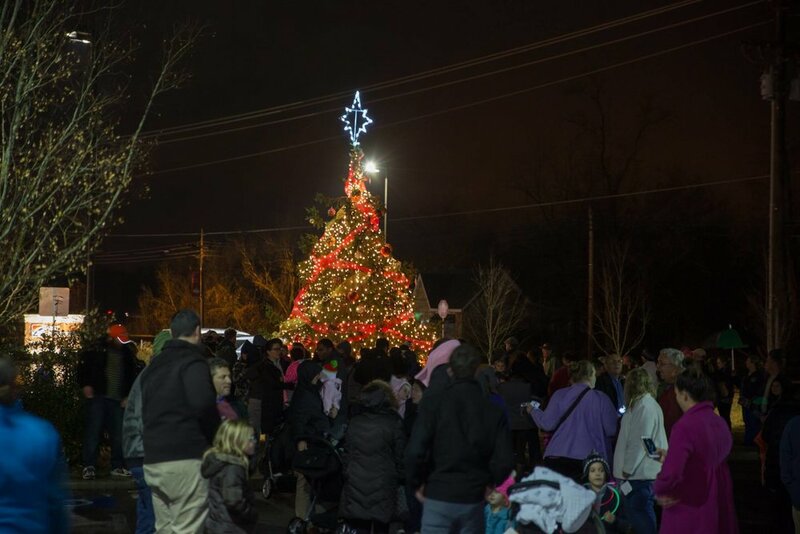 Since the towns incorporation in 1996, Nolensville has hosted a Christmas tree lighting that brings the town together to kick off the season of joy. Years ago it started out at the Town Library with just a handful of residents, but as the town continued to grow, so have the crowds. 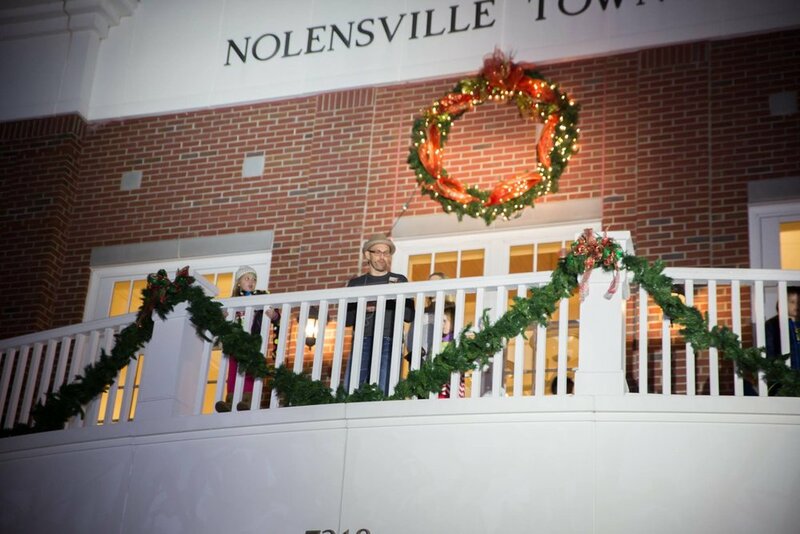 Several years ago Nolensville constructed their first Town Hall building, keeping in mind the continued tradition of the town Christmas Tree lighting. 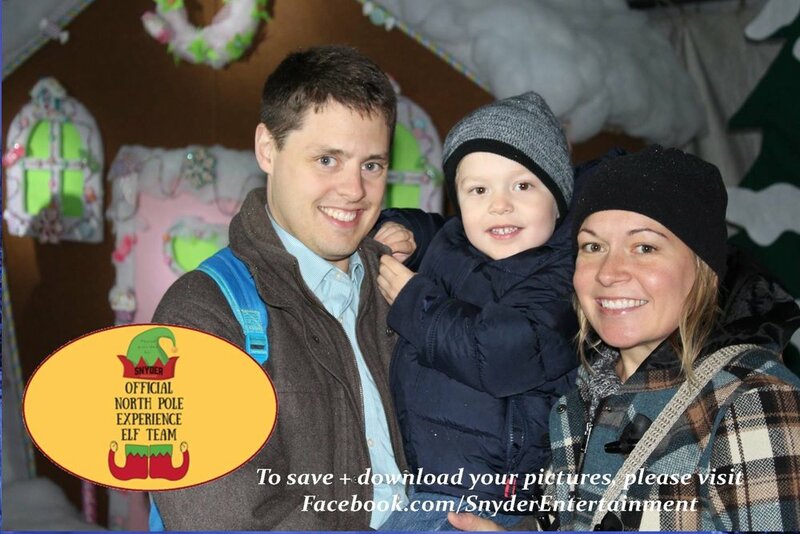 With the growing number of people, children and expectations, the town Mayor, Jimmy Alexander, once again turned to local Alderman, Brian Snyder, the team at Mint Springs Farm, and our Snyder Entertainment team to help. 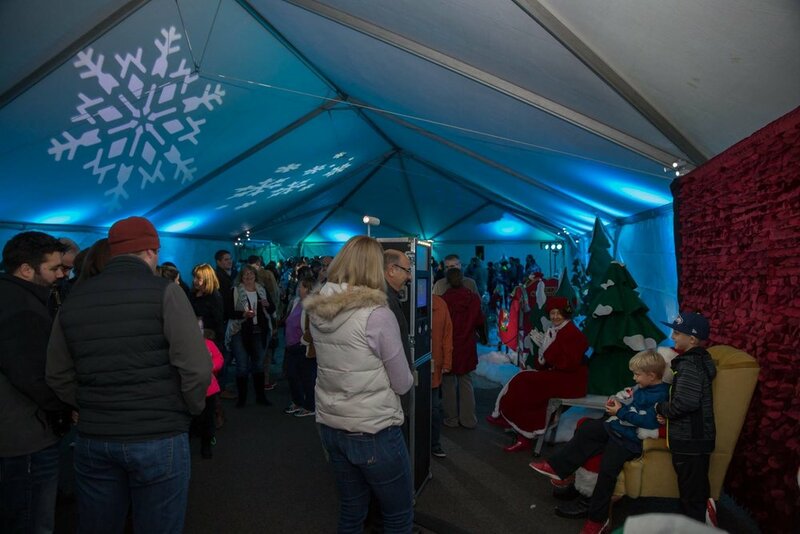 The annual North Pole Experience + Christmas Tree lighting was back by popular demand this year and had the estimated largest crowd ever since the 1996 inaugural tree lighting in Nolensville! 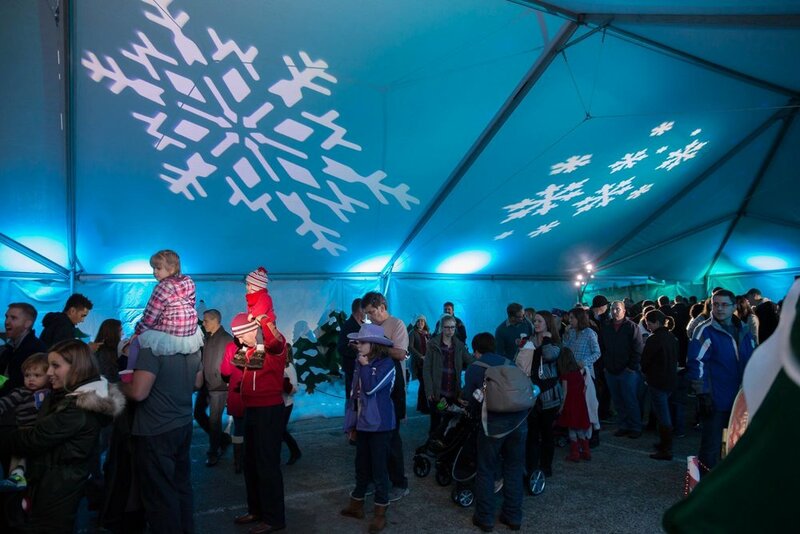 Here are all the festive details and pictures..
As we began planning for this event again last year, we were excited to once again partner with the incredibly talented team at Mint Springs Farm for our annual production. The team at Mint Springs created incredible holiday scenes centering around some of the best holiday stories and traditions. Their team designed, constructed and provided all of the decor for the entire event again, re-purposing all of the hand crafted signs and picture backdrops. 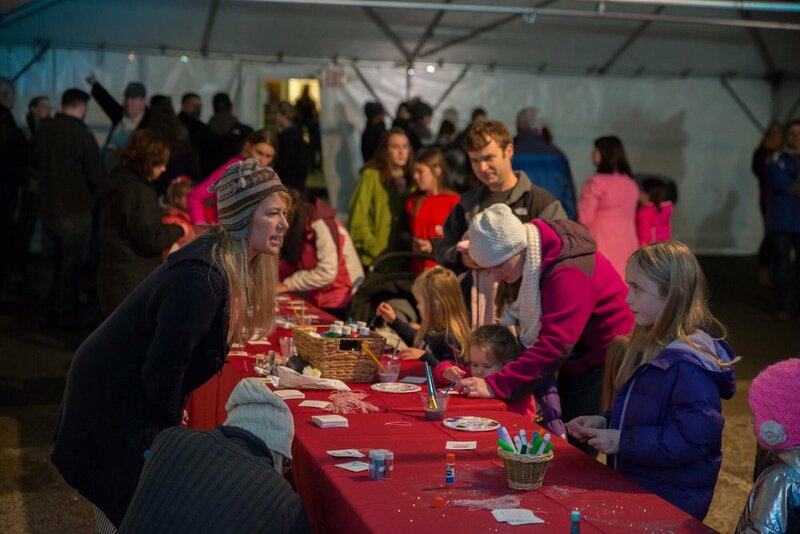 Upon entering the tent, you would be met by a large arts and crafts tables on each side with the staff of volunteers from the Nesting Project ready to help kids make North Pole themed holiday cards. The Nesting Project donated all of the cards, art supplies, and a team of volunteers to help out. 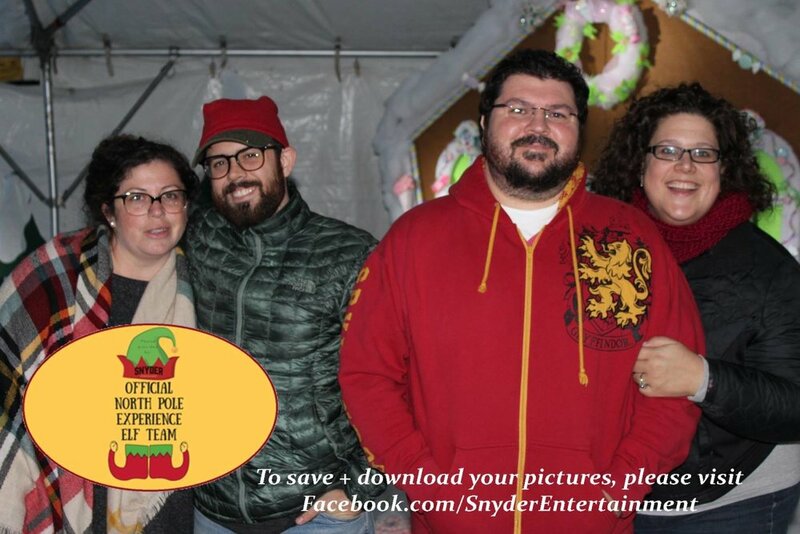 Some of the volunteers included team members from our Snyder Entertainment family. With all of the help from our volunteers and very crafty kids, we easily went through hundreds of cards this year. 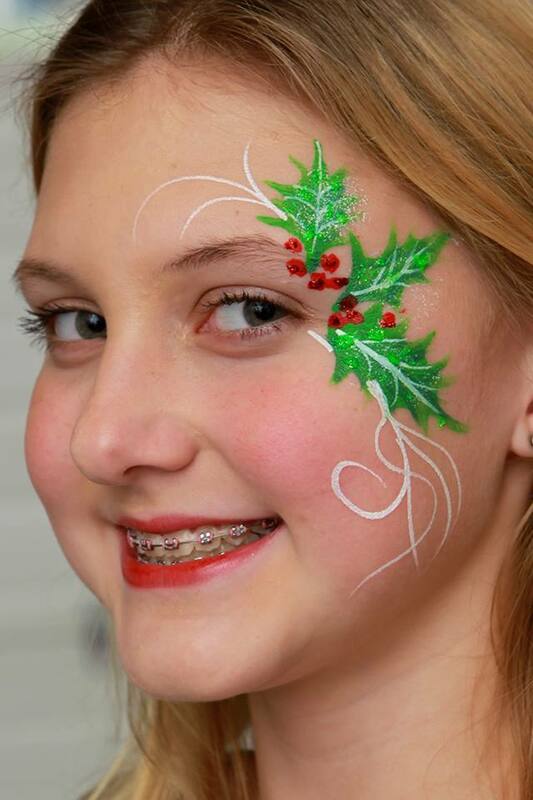 Another great addition to our celebration this year was holiday face painting by local artist, Dan Klepper of Fantasy Face Artistry. 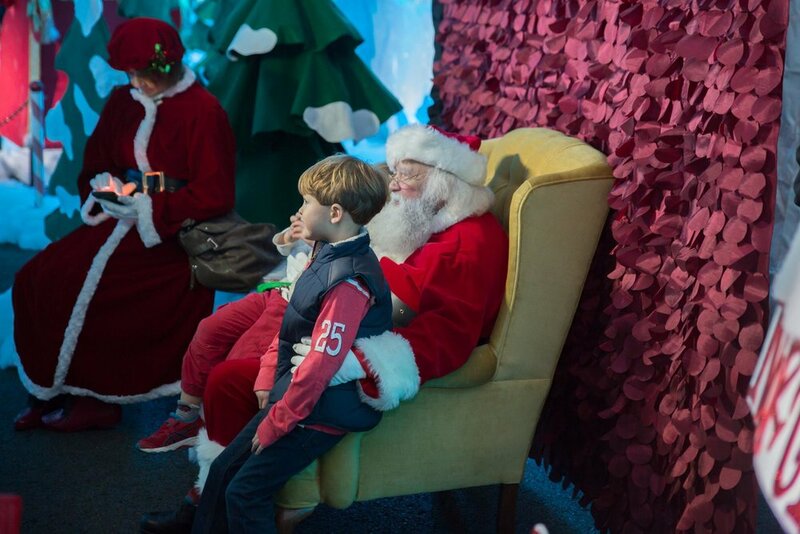 He was a huge hit this year and we hope to continue to partner with him for more town events! Continuing on into the tent, the next portion of the North Pole Experience was like walking through a full Gingerbread Village. The Gingerbread village was decorated with ice colored lighting, snow flakes filled the ceilings, and of course Gingerbread men and women were all around; this setting made for an incredible photo backdrop. Our team provided onsite photography and printing for the event, and feel free to download any of the photos here. The Gingerbread Village would then lead you through a dream-like Christmas hallway where visions of sugar plumbs danced in your head, and from then you had officially arrived at the North Pole! Since this is where Santa lives, it's only obvious that this is where the live music was featured. The live music was provided by Life Community Church and they did a fantastic job! They invited the kids to join in and sing with them and they sang all of our favorite holiday carols and old fashioned traditional songs! The North Pole was home to many elves working on toys, and a playground to many other elves who were having a snowball fight. Santa's sleigh full of toys and reindeer all made an appearance, along with the most famous reindeer of them all, Rudolph the Red Nose Reindeer (I know you're still singing the rest of the song in your head...) The very last stop was also where the big man himself was, ready to take pictures in our Snyder Entertainment photo booth and hear about everyone's Christmas wishes! Our custom template was the perfect addition to these keepsake photos with Santa! Check out our Facebook photo album here to see even more pictures, LIKE our page and TAG/SHARE the photos! Prior to the Christmas tree lighting, Alderman Jason Patrick came out to the balcony to read "The Night Before Christmas" to everyone in attendance. When Jason concluded the story, Santa joined him high atop of the building, and they started the countdown, "3-2-1, Merry Christmas Nolensville!" as the lights on the tree majestically lit up the front of Town Hall. 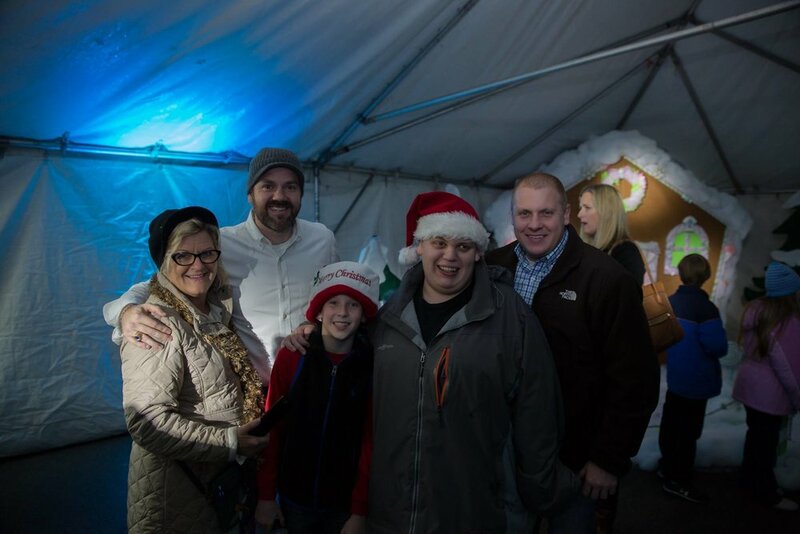 2016 proved to be another incredible year of Nolensville holiday tradition, and one that certainly couldn't of happened without the help and support from our local vendors. 2 Girls ’N A Hot Dog partnered with us again this year to serve up gourmet hot dogs to guests. 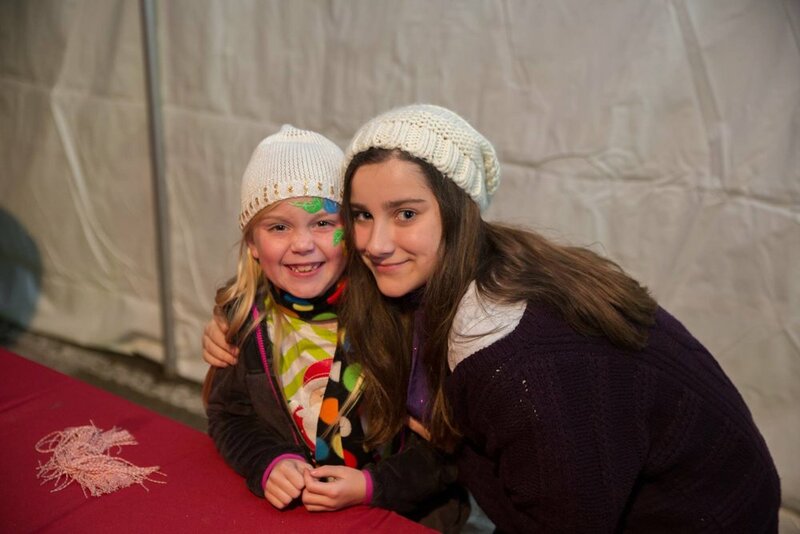 Mamas Java was also onsite to provide much needed hot chocolate to attendees. Aside from food, we had some other awesome local vendors there; Life Community Church provided the music and Round Up Nolensville provided the hot chocolate decorating station! Again, Mint Springs Farm was responsible for all of the wonderfully crafted decor, props, and signs. 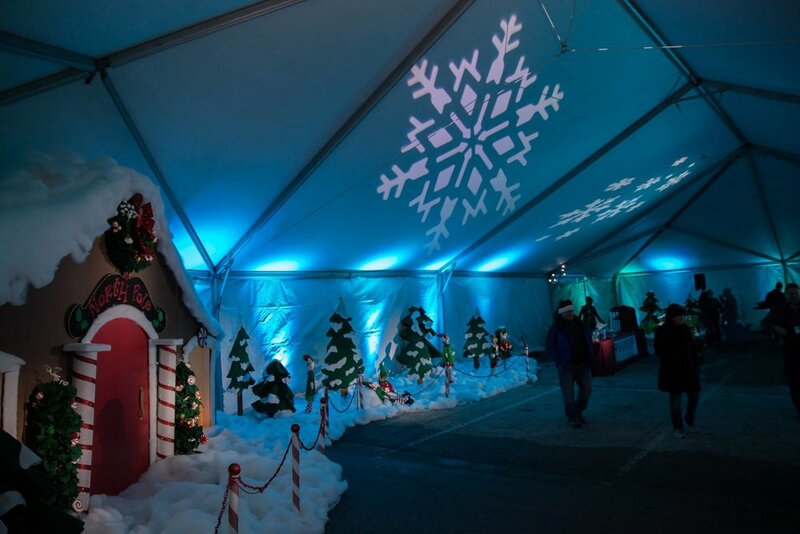 Our team here at Snyder Entertainment provided 50 décor lighting fixtures, 8 gobo/monogram lighting fixtures, sound systems, green screen photography, Santa's photo booth, and on site printing. Our team was also on site days prior for set-up, design, delivery of equipment, and day of preparation! We could not of anticipated another terrific turnout for the Nolensville Christmas Tree lighting, and we're so glad that so many residents came out this year to celebrate with us! We're continuing to work out how we can get even more interactive next year- so if you have any ideas, please let us know; we would appreciate any feedback. 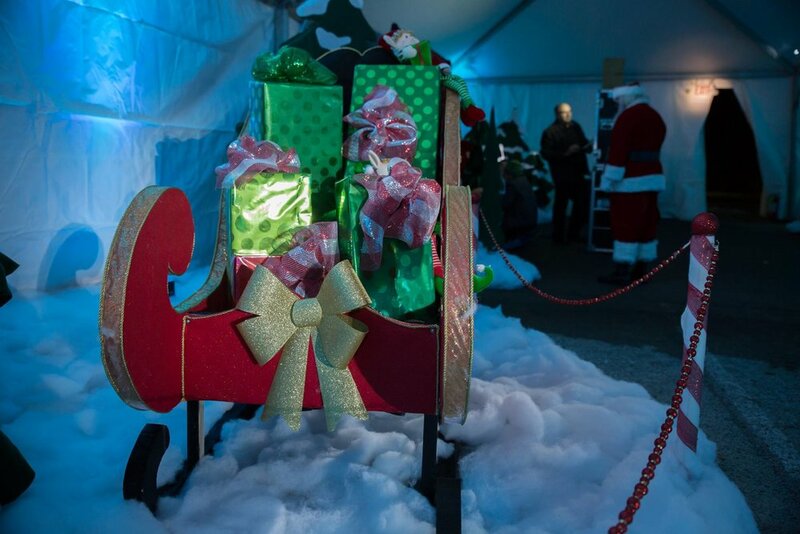 Another huge thank you to Mayor Alexander, Aldermen Jason Patrick and Brian Snyder, our local vendors + donators, volunteers and elves, the staff at Town Hall, the team at Mint Springs Farm, and everyone who came out in attendance this year!